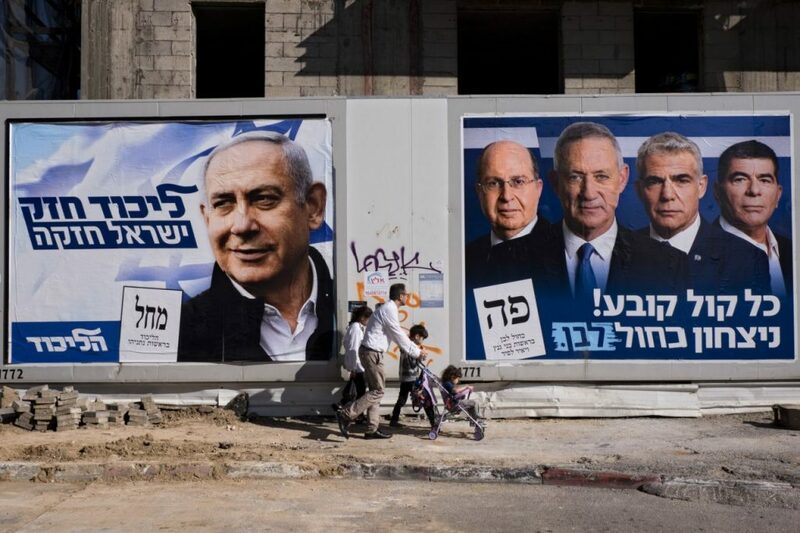 Israel’s election campaign has been a three-month roller coaster of mudslinging, scandals and more scandals. But when voters head to the polls on Tuesday, one name will be predominantly on their minds: Benjamin Netanyahu. His party’s only real challenger is from a newly-formed centrist alliance called Blue and White, led by Benny Gantz, who’s framing himself as a Bibi without the baggage. “I think we will be able to unify the country by far more than what Netanyahu is doing right now,” Gantz told in an interview. But don’t mistake Gantz for a left-wing alternative to Netanyahu’s increasingly right-wing rule. At an event for English-speaking voters in Tel Aviv last week, Gantz suggested Blue and White would try to copy the prime minister’s strategy, and partner with hard-line right-wing religious parties to form a governing majority. Barak was the last prime minister candidate to oust Netanyahu from office in 1999. But since then, Bibi has held onto power, in part by moving Israeli politics farther and farther to the right. Most recently he formed an alliance with an ultra-nationalist extremist right-wing party called Jewish Power, that was inspired by Meir Kahane, who advocated for the forced removal of Palestinians. Now more than ever, as Israel continues to move to the right, Barak says a strong opposition is necessary to start a difficult conversation, even if they can’t defeat Netanyahu’s coalition. Anshel Pfeffer, the Netanyahu biographer, predicted a “major showdown” with the legal branch and said Netanyahu will search for a way to dismiss the charges or pass a law granting him immunity.